Solid rosette, ø50x2 mm. 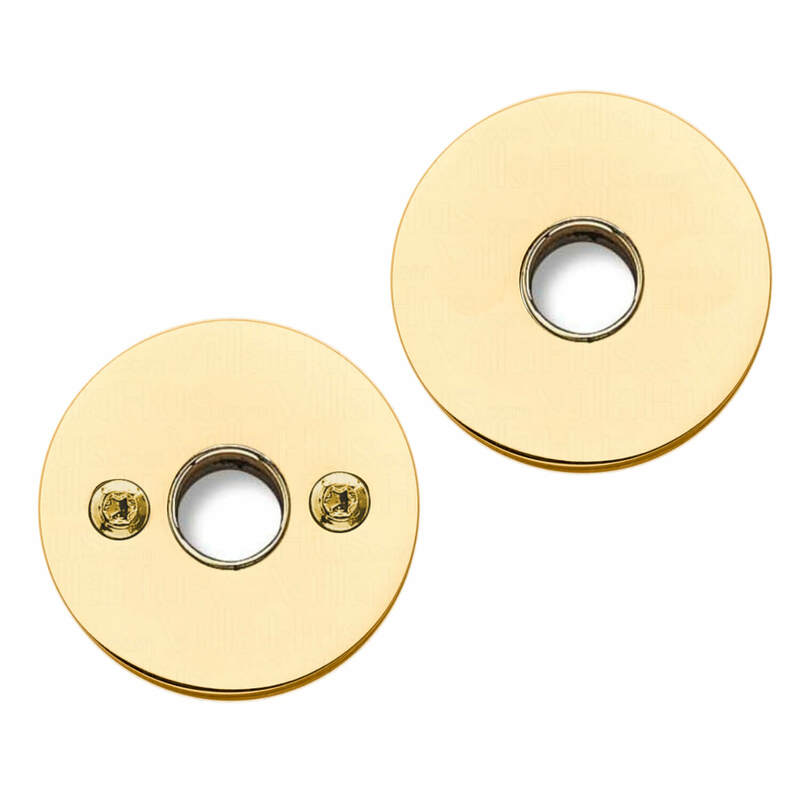 Delivered in solid polished brass, with welded threaded studs, center spacing 30 mm, visible screws on one side. Comes in sets incl. 2 pcs. M4x84 mm screws.